Car obsession, air pollution – Death for the city! On the dark highway, the car showroom glows with a light spectacle in the night. People are returning from their offices, tired, stuck in the huge traffic jam. The line is longer than 2 kilometres on both ways. I see the passengers; most of them are sitting alone in their cars, playing their favourite music or talking on the phone. Some faces are without expressions, some are angry. Most of the drivers’ honk, hoping it will help them to move on. Indians discovered in cars everything that other Nations did – control and freedom, privacy and privilege, speed and status. Cars have to be bigger, better and fast. India has become one of the world′s fastest-growing car markets, with about a million cars sold each year. On the other hand, car revolution In India has brought even bigger changes. This society was in past more about duty and dharma then drive, more about responsibilities to others then realization of individual desire. India becomes a perfect car market. Purchasing a car is definitely a way to show off your social status or at least to travel comfortably with some privacy. Maybe the main problem lies in the public transportation. Government is trying to increase frequencies and connections of buses and metros and improve autos and cabs transport. Government worked a lot on safety of women while travelling as well. I believe a lot has been done, but still not enough. In a city like Delhi with 16 million people, transportation is always extremely hectic. Metro, buses are extremely full, roads are packed. But roads are packed because of uneconomical, unsustainable and rules–free driving. In most of the cars, usually there is only one person sitting and driving in a wrong direction is quite a standard. India has already one of the highest accidents rates, with more than 80,000 traffic related deaths per year. The urban planning is adjusting traffic requirements. The rise of cars and the investment in highways is bringing larger trend of privatization in Indian life in which those “win” who can afford to pay for services the government does not provide: efficient transport, clean water, good schools, and decent health care. The global environmental consequences of millions of cars on the roads every day are terrifying. In Delhi, on its first car-free day it was noted almost 60% reduction in air pollution. That clearly shows that traffic is a major culprit. Recent studies done by IIT Delhi reflect that is not the number of old vehicles on the roads which is to blamed, rather the number of total vehicles in Delhi roads every day. The emissions take place within our breathing zone which is even more harmful for our health than emissions from industry plants. If we continue in the same way – we will be forced to leave the city because it won’t be possible to breath. Asian brown cloud is a layer of air pollution that recurrently covers parts of South Asia. The sun barely illuminates the city, smog hangs low. Even indoors, fuzzy, halos of dust and smoke surround lamps. Those foolish enough to go out for jogging often complain of shortness of breath, migraines, and clogged lungs. Newspapers are full with articles about asthma, wheezing children at clinics and an epidemic of grumpiness. Here statistics are not really needed – just rub your skin with your fingers after a short walk outside and you will see black smudges on your fingers. We are all seeking for a better, more simple and comfortable lifestyle. Maybe cars brought us that. We are able to travel 100 of miles and transportation become so much easier. Despite of that, in the cities, cars only created chaos, differences, pollution and many inpatient drivers stuck in the traffic jam. We need proper monitoring, many improvements and different mindset. Interestingly, the rich and poor can hardly breathe different air – that means that everyone should have a strong interest in doing something to improve this matter. Delhi is gasping for a change. What do Coca Cola, taxpayers and plastic water bottles have in common? Good news is coming from San Francisco, the first city in America which bans the sale of plastic water bottles. This step is recognized as a global movement to reduce the huge amount of plastic waste from the billion dollar plastic bottle industry. We heard the voices of people who said that this step was unnecessary and inadequate. In the city, which was built on the desert land and has long hot summers we simply cannot ban plastic water bottles. In my opinion, it requires only a little bit of awareness to understand and to adopt a habit of carrying a bottle of water with you. However, shocking was the statement of The American Beverage Association, which includes Coca-Cola Co. and Pepsi Co. Their statement was that the ban of plastic bottles was “nothing more than a solution in search of a problem. This is a misguided attempt by city supervisors to decrease waste in a city of avid recycle” (Global Flare, 2015). My understanding of the statement is very simple. In the city with one of the highest recycling practices in the world, banning plastic water bottles is just creating an unnecessary problem. Seriously, why would you ban plastic bottles, if there is already a well-developed system of recycling? Plastic bottles are not a problem. Plastic water bottles might not be a problem for these companies, but it is definitely unthinkable profit for plastic bottles industry. We can find them everywhere, but they are especially sold in touristic spots, national parks and sports centres. For these companies, to make a new plastic bottle is a very cheap process with huge profit margins and they don’t have to worry about the cost involved in disposing these bottles because it goes from taxpayers’ pockets. Therefore, American Beverage Association is obviously not supporting the ban of plastic bottles. To eliminate the plastic water bottles in one National park, it requires 8 million kilowatt hours of electricity and it produces almost 6000 metric tons of carbon emissions every year. The Plastic industry argues that if we get rid of bottled water, people will start drinking more soda and other soft drinks instead. But if, we offer refilling free water stations people will bring their bottles with them or they will buy a reusable bottle. True, San Francisco is one of the cities with the highest rate of recycling, on average they recycle between 80-90 % of all waste. So why ban water bottles? Every product – recycled or not has an energy and resource cost. Sadly, we use it only once. Water bottles, new or recycled are manufactured in petrochemical plants that release harmful air. People who live near these plants reported numerous health problem and they believe it is caused by the air pollutants emitting from these plants. What make the use of plastic water bottles even harder to swallow are the chemicals which we are ingesting with every sip in our body. Lastly but very important is the fact that plastic water bottle industry aims to privatize and sell back that one resource which should never become a commodity – our water. The case of plastic water bottles should not be about the economy and the profits. It should be about what is right and what is wrong. Selling water which we all own, extensively expending the energy and resources for one time using bottles, polluting air and taking risk of our own health – we should have seen all these effects long time ago! The plastic water bottle companies will not stop, they will even try to convince us that what they are doing is good and we should follow them. San Francisco is going to be the first zero waste city in the world. I believe this is what we should follow. Diwali, a festival of thanking people around us–but this time let′s do it in a right manner! The upcoming Diwali, a row of lights, it is a time filled with light and love, a time when Indians all over the world rejoice! It is a time of joy. We are not only celebrating with our families; we are celebrating Diwali in our workplaces and in our communities. We share the results of the past year; we are thinking about new ideas and changes for the future. We thank those around us who helped us in the past year. My friend told me an interesting story from pre-Diwali gathering in two communities last week. It made me to over think the meaning of Diwali and how it is implemented. It made me to over think how people behave on social events. Two Pre – Diwali gatherings were organized for middle- class communities in their respective neighbourhoods. One took place in a community centre where Street Vendors provided food. In the meeting, two groups of people – the residents and the workers, sat, laughed, ate and mingled separately. It clearly showed class differences in the community. In the end, worker class in spite of being invitees cleaned the community centre after the residents had gone. The other Pre Diwali gathering was organized in an open area and food was served by middle level caterers. The residents and work force people sat, laughed, ate and mingled together. They left together as comrades. Maybe everyone would not see the difference between these two gatherings Maybe some of us would notice, but wouldn’t really care. None of us would take the responsibility. How many of us would take an action and want to change it? What was more wrong – that only workers cleaned the centre or that all; workers and residents left together without cleaning the park at all? We say thank you to people who work with and for us. But how many times do we really mean it? It is very practical for us to give a box of sweets to the security guard on a festival and then continue to live in the way we have lived before. In one of these meetings even that didn’t happen. A pre-Diwali meeting was an ordinary working day for all workers. People celebrated separately and they played their social roles in the society. But we are happy that example from the other meeting is giving us a hope. That was a meeting of total participation. A concept of “Total participation” was established by Guru Nanak, the founder of Sikhism. He taught that all man have a right to search for knowledge of God. And celebrating Diwali is definitely something that belongs to all of us. But “Total participation” brings rights and responsibilities to all of us. We all have right to celebrate and we all have responsibility to make it valuable for everyone. And the concept of total participation works also in our care for environment. We all have rights and responsibilities for it. I am responsible for my impact on the environment. I am responsible for the waste which I produce. Maybe Diwali is the time for a new beginning for our personal as well as family accomplishments and for our contribution to the society and environment. 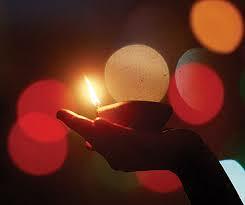 The light of Diwali should be within us. The whole world seems to be in a beauty contest and we are massively using the cosmetics products, hoping that they will make us look younger and more beautiful. 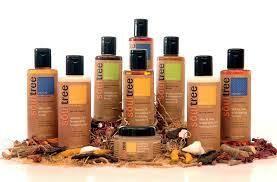 People all around the world are becoming increasingly aware of cosmetics products. Many of our personal care products are dangerous for our health and consumer agencies are educating consumers about the health risk of these products. However, unfortunately these agencies do not tell us about the disastrous effects of these products on the environment. Here are some of the problems. 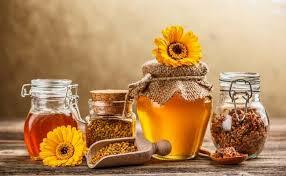 Companies are aware of the fact that nowadays a costumer cares about the ingredients of the product and most of us calm down immediately when we hear the word “Natural”. The truth is that putting a few of natural ingredients which are still mixed with chemical and toxic ingredients doesn’t make the product natural. Also, now more companies are seeking for more natural ingredients and there is a need for more farming. That would be a good thing, if it would be done in a sustainable way. However, big companies want it in a massive quantity, cheap and fast. 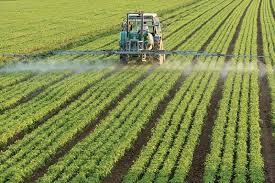 We can immediately forget about sustainability – it only brings more pesticides down to the Earth and more human labour. I believe that the only safe way to buy 100% natural products is to buy it from small local companies, which have certificate for sustainability. 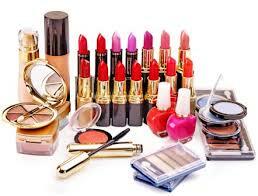 All the personal care and cosmetic products are nicely packaged in high quality plastic packaging. Shockingly, cosmetic waste is accounted for our1/3 of landfill waste. I am wondering, why the personal care products are (most of the time) not packed in reusable package – wouldn’t it make sense, since we will all use tooth paste until the ends of our lives? This brings me to an interpretation that behind all cosmetics industry, there are big lobbies with enormous gains. The costumer in the end does not have much choice; only if he himself starts to make his own products. Despite long history of awareness-raising and campaigns against animal testing, still almost 38,000 animals die because of product testing. 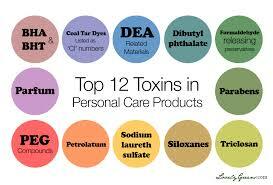 The chemical components of many products don’t break down; instead it accumulates in our environment. Our personal care products are washed down in our sink and as a result chemicals finish in our lakes, rivers, sea and oceans. Every bottle of chemical moisturizer threatens the marine environment as it disrupts the reproductive health of the fish population. It is time to take a deeper look at the price our earth pays for us to look good and beautiful. Customer has a power to stop polluting environment by purchasing the products responsibly. With the pressure on companies we can change the whole orientation of the cosmetic industry which will effectively decrease environmental footprint. Millions of individuals together can change the society. That is the power of individuals. 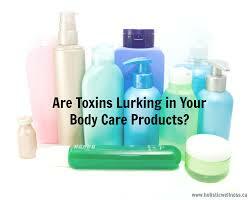 Boycott cosmetic product and be informed about its ingredients. There are some good brands in India which are eco friendly, organic and cruelty free – for example: Aarogyam Wellness, Ancient Living, Astaberry, Dear Earth, Aureus Naturals India, Fuschia, Merus, La Flora organics, Omved Skin & body care, Shahnaz Husain Herbal & Ayurvedic Cosmetics, Vedantika Herbals,Tree hut and many more. 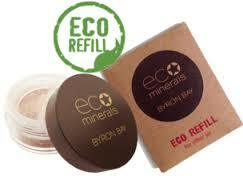 But remember; only those products which come in reusable or recyclable packaging are truly eco-friendly. 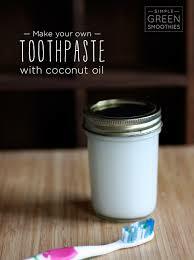 If you want to affect the environment at least as can you may make your own products. Interestingly, most of the ingredients to make home products, you can find in your own kitchen (Follow our next blog posts where we will share some recipes for home-made cosmetics!). Lastly, we should remember something more important– we can learn so much from our grandparents! They were not using all the cosmetics and beauty products but they still looked awesome. You really don’t need to wear any make-up most of the time; keep your eyebrows the way they are, and find your own natural beauty signature (Erin Heatherton).